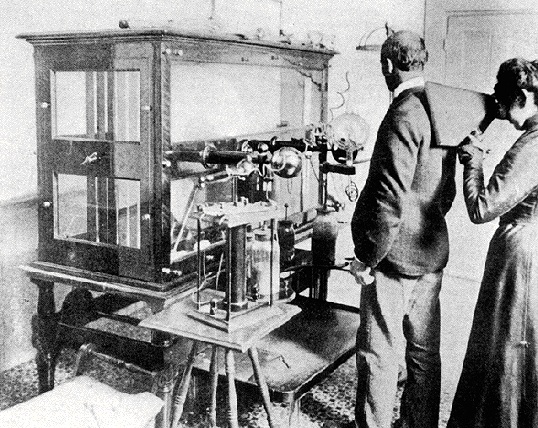 Elizabeth Fleischmann using a portable fluroscope prior to her death in 1905. "Miss Fleischmann's radiographs excel for many reasons ... Her nice adjustment of the ray according to the density of character of the object which she desires to photograph, is an art in itself. Then, she never fails to take the radiographs at just the proper angles, so that when we have two, taken from different points of view, to guide us in an operation, we can rely upon them with absolute certainty. We have never failed to go straight to a foreign body imbedded in the human anatomy which is shown by her radiographs ... Add to this the fact that she has never yet burned anyone in the least while applying the ray. "The process of taking radiographs is a very simple one, much less complex in some respects than the ordinary process of solar photography. The object is placed upon the sensitive plate which is to be the negative, and the rays of the Crookes tube are directed downward upon and through it for a brief time, penetrating all woven fabrics as if they were mere vapor, piercing the flesh which appears in the radiograph as a faint film, passing through cords and muscles and bones with varying facility, the result showing the exact degree of resistance offered by all these substances; when the rays find a metallic substance, offering an absolute barrier to their progress, they leave the latter as a black shape on the radio- graph. The principle is as simple and elemental as the shadows thrown upon the ground by sunlight or electric lights, but the radiograph which shall serve the delicate uses of surgery and be an infallible guide for an operation on which hang life and death, requires a consummate skill, experience, and a fineness of judgment and perception which is almost like a sixth sense." During the Philippine War, Elizabeth took X-rays of the wounded soldiers who were transported to San Francisco. She located their bullets and splinters, and became indispensable to Army surgeons. When Elizabeth's fame as the one of the greatest experts in radiography grew, her X-rays attracted the attention of the Army Surgeon General who rated her work as the best known. Elizabeth is most known for her work on wounded humans, but she also experimented by taking radiographs that were clearly valued for their artistic rather than diagnostic merit. 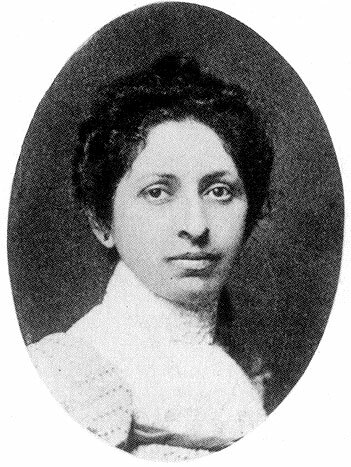 Some of her X-ray photographs were featured in Camera Craft magazine and even the Chronicle noted: "Radiography is varied in its applications, having its light as well as its serious side. It reveals the bony structure of living animals with remarkable fidelity. The gauzy anatomy of the frog, the delicate articulation of the snake, become things of beauty beneath its power... The radiograph was recently employed to show the exact contortions of the wee grub, which produces the strange antics of the Mexican jumping bean." In her time, X-ray photography was viewed as a potential cure all, it was even hoped to be an effective cure for cancer the "most dreaded disease of the century." By 1900 Elizabeth had several cancer patients under her care. Unfortunately not much was known about the lethal side effects of producing X-rays. Elizabeth lost an arm due to radiation poisoning and in August, 1905 she lost her life. The San Francisco Chronicle obituary wrote that she died "after suffering for months from injuries sustained in the pursuit of her profession as a radiographer. In her demise the community loses one of the most admirable women of science and of the most ardent workers in the interests of afflicted humanity."